As I write this blog post, I’m on the plane from Paris (France) to Mexico City (Mexico). I just spent a week in Denmark and Sweden, and had a chance to visit four cities in two countries (Malmö and Lund in Sweden, and Aarhus and Copenhagen in Denmark). What impressed me the most of all four cities (but especially Copenhagen and Aarhus) was the strong biking culture and the amazing network of bike lanes. Reflecting while on the flight back on the different approaches to building cities, it struck me that Copenhagen and Aarhus are built for exactly the kind of sustainable, less-fossil-fuel dependent transportation that is required in a world where we need to put a stop to our carbon emissions if we are to reach the Holy Grail of reducing global warming to a mere 1.5 degrees Centigrade per year. The way Copenhagen and Aarhus are built, there are very ample, separated biking lanes with clearly marked areas for pedestrians and automobiles. I contrasted these two cases with Mexico City, Leon and Aguascalientes. I am particularly struck by these cities because most of the investment I’ve witnessed in transportation infrastructure has been in road improvement and expansion, bridges and interurban highways. Are there any policy instruments implemented that can act as deterrents to car acquisition? NONE. Are there policies being implemented that can have a positive effect in increasing the number of bikes on the road and decreasing the number of cars (especially single-occupancy-vehicles) that are used for transportation? No, there aren’t. Leon, Aguascalientes and Mexico City are all cities built for the car. Cars are the priority, pedestrians and bikers are not even in the brain map of policy makers. This sad situation is particularly acute when you consider the amount of money spent on travel for bureaucrats and politicians who allegedly travel to different (usually European) countries to “observe best practices that they can bring back to their home cities”. My view is usually that these people are giving themselves paid holidays in pretty cities in places in the world that they wouldn’t have been able to afford were it not for the fact that these trips are funded by taxpayers’ money. Cynicism aside (although I could almost prove that just about every instance of “observational trips for policy makers” is a paid holiday for them since there is no evidence that any policy transfer occurs), what these policy makers seem to forget is that attempting to transfer or replicate a specific policy (or set of policy instruments) will unavoidably fail if there the conditions for appropriate transfer in the target country aren’t right. You can’t go to Copenhagen to “observe the amazing sustainable transportation and biking network the city has, so that you can then bring lessons for the Mexico City (or Aguascalientes or Leon) case”. This statement is both astoundingly stupid and extraordinarily naïve. 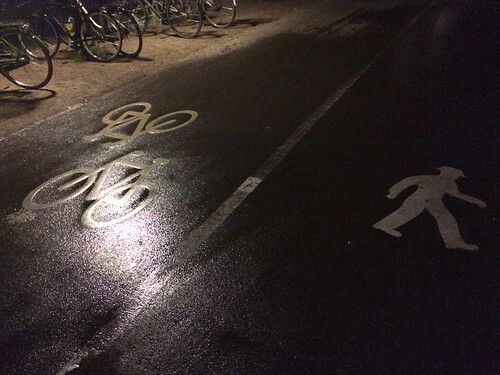 You can’t replicate Copenhagen’s biking infrastructure in Mexico City because the cities aren’t identical. They aren’t even remotely similar. The city that is being used as a model to draw lessons for policy transfer and the target city aren’t in any way, shape or form identical. They’re not even similar. These cities have extraordinarily different populations, surface areas, road infrastructures, and cultural norms. 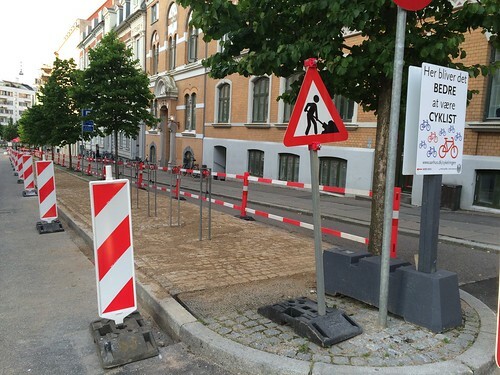 Biking culture is ingrained in Copenhagen, the infrastructure was built decades ago and the policy incentives to deter automobile acquisition were implemented many, many years ago. This willful ignorance of politicians and policy makers (at best, and malicious intent at worst) frustrates me to no end. I don’t expect bureaucrats and politicians to know even the slightest basic notion of policy transfer, but I would at least hope they would have a bare modicum of common sense. When I saw how Leon transferred the articulated bus network from the Medellin (Colombia) case, my brain exploded. I saw roads shrink, entire neighbourhoods destroyed and the number of cars in Leon grow almost exponentially. All things considered, I figured at least there was some effort on the part of local governments to push for some degree of sustainability in their transportation policies. I considered this case relatively successful and suggested to one of my undergraduate students in the Public Policy program at CIDE to study the Colombian case for potential policy transfer into the case of Aguascalientes. But during this trip, something that was on the back of my mind really hit me hard: we don’t have the same culture of biking or accessing sustainable, mass transportation in Aguascalientes or Leon that we do in other countries’ cities. 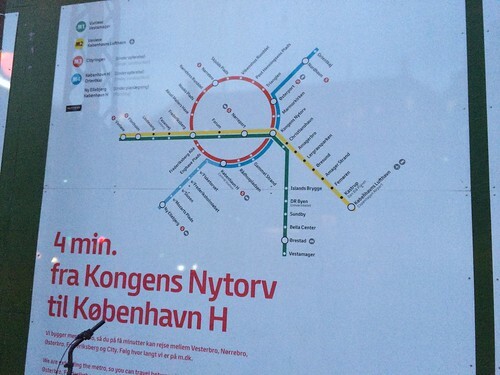 For example, in Aarhus and Copenhagen, I walked, biked, took the metro and the bus system. It didn’t even occur to me that I could rent a car. 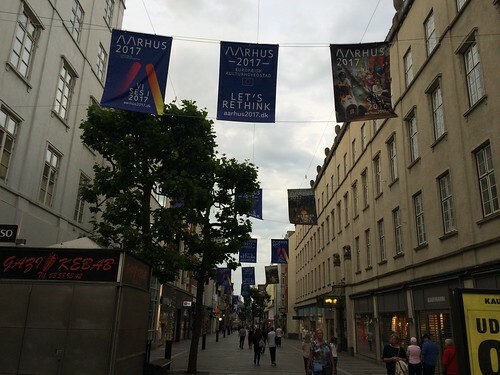 Same thing in Malmo and Lund (in Sweden) when I visited with two other colleagues. It wasn’t even in the cards to rent a car. We all were used to using mass transportation systems. Both of my travel companions while in Sweden (Dr. Kelly LeRoux from University of Illinois at Chicago and Dr. Staci Zavattaro from University of Central Florida) were used to walking, biking and using the metro system. Of all the cities that I have visited this year (for conferences and fieldwork, all of them had robust transportation networks. Madrid (Spain), Bogota (Colombia), Paris (France), Chicago, New York City, San Diego, Washington DC (USA), the one where I didn’t feel it had a robust network was Atlanta (Georgia, in the US), and that was probably because I stayed in a weird neighbourhood (Historic Fourth Ward). Milwaukee didn’t strike me as having a robust bus and metro system, but I didn’t even need a car in Milwaukee as my friend Oriol drove me around, but at least we commuted by car but we were large groups rather than single-occupancy-vehicles. But every other city? I could access them directly from the airport through a quick, rapid link (by train or metro). If you land in Leon or Aguascalientes, you need to pay the equivalent of $25 USD (which may sound very cheap, but bear in mind that the Mexican peso has fallen almost 90% and lost a lot of purchasing power, so $450 Mexican pesos are A LOT of money for a taxi ride into the city). This ridiculously high jacking of taxi prices is also one reason why Uber is becoming more popular in Mexico (in general, and these cities in particular). Transportation policy isn’t my area of research, but I do maintain a very strong interest in it because having speedy, accessible modes of transportation does affect me as my own research is very much fieldwork-dependent. Therefore, I need to be able to move around neighbourhoods and field sites swiftly without having to depend on having a car. I can’t do fieldwork (or at least, it is extraordinarily harder for me) if I don’t have access to a robust transportation network. I have had weird experiences of staying in suburbs of main cities (as I did in Washington DC this year) or badly connected neighbourhoods (in Atlanta, GA this year and New Haven CT last year). When this happens to me, I usually cab into the city and then connect to the main bus, train or metro network. And do the same on the way back. But this method is extraordinarily time- and money-consuming. What would be easier for me, and more useful would be working within a walkable city, or at least, a city where the bus, train, metro systems are strong and the infrastructure is robust. Bear in mind that moving from Vancouver (in British Columbia, Canada) to Aguascalientes (Aguascalientes, Mexico) was a huge shock, because there is basically only one place where you don’t need a car in Aguascalientes: downtown. You can walk in downtown Aguascalientes, but from there onwards, the bus system is pretty run down and thus everyone depends on automobiles for transportation (be it taxis or their own vehicles). In Vancouver, I walked, bussed, Skytrained just about everywhere. Of course, there are huge gaps in the Greater Vancouver transportation network. I can’t say there aren’t. If you live in Maple Ridge and want to use mass transportation to get into Vancouver it will probably take you anywhere from one hour to hour and a half. Many of the suburbs of Vancouver are reachable primarily by car. There are huge gridlocks. I’m not saying that Vancouver (or Copenhagen or Aarhus for that matter) are perfect. I am saying that their infrastructure is way more robust. 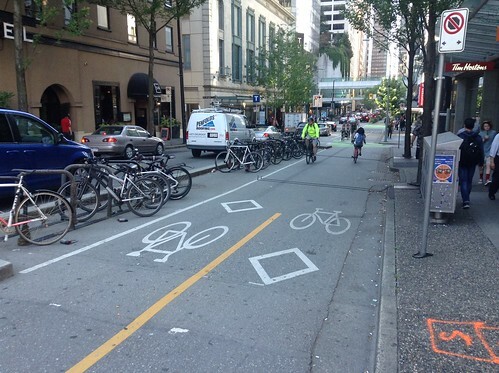 And in Vancouver, you have separated bike lanes (I remember how angry I got when Nelson Street got separated bike lanes, thus making commutes much longer, but then I realized that people do use them). Which brings me to the last point of this essay. I have travelled in Europe (twice this year), South America (once this year) and in many cities in the United States during the first 7 months of the year. I have seen the positive effect of spending taxpayer money in urban infrastructure. That’s the part that breaks my heart every time I come back to Mexico. I see decrepit buses, horrible airports, terrible bus stations. The Mexican government (at all levels, federal, state and municipal) doesn’t invest in infrastructure (much as it is heavily publicized by the Federal government) because Mexican politicians are (for the most part) extraordinarily corrupt. This country is a country of rich politicians and poor people. The policy priorities of this government (at the federal and subnational levels) are clear: bringing as much money to their own pockets and bulging their bank accounts. Building strong transportation infrastructure? Not a policy priority. Creating a culture of compliance with rules and norms? Not a policy priority? Investing in renewing the bus stock and implementing interurban trains? Not a policy priority. Buying a new plane for the Mexican President? Of course, THAT is a policy priority. Spending thousands of millions of dollars in public relations and marketing? THAT is a policy priority. Cutting budgets of the Mexican science, health, environment and education secretariats? Of course, those are policy priorities. The Mexican government didn’t cut into their own budgets; they sank their teeth into high priority policy areas. Education, health, environment and science clearly aren’t a priority for this federal government. Their own image is. There were basically no cuts into the federal government’s public relations budget. This government has spent a record maximum in the history of federal governments on PR activities. What good does it do for perception of the government when citizens and taxpayers realize that their money is going into a PR campaign rather than actual investment in solving policy problems? What I saw this week in Denmark and Sweden is what I doubt I will ever see in my lifetime in Mexico: two countries where the interests of taxpayers are the priority for the government. Where cities are built for people instead of cars. Where entire neighbourhoods are developed around concepts of sustainable, mass transportation, walkability and accessibility. 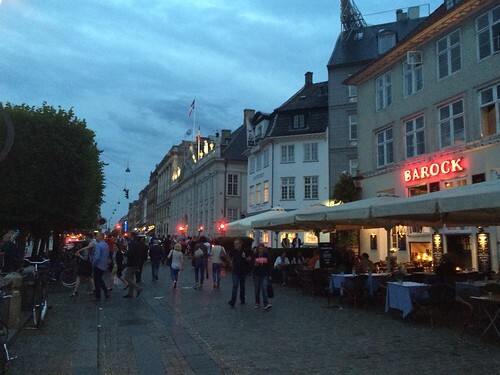 When I went for dinner to Nyhavn (the Copenhagen version of the Navigli in Milan, and a similar concept to Trocadero in Paris), I saw a main metro station being built. Basically, the message being transmitted is that investment in Copenhagen is targeted towards more sustainable modes of transportation, not on more roads nor cars. I wish we could reach this point in Mexico. Sadly, I’m sure we won’t. Tagged with comparative public administration, comparative public policy, Denmark, fieldwork, Mexico, policy transfer, Sweden.